Saint Florent is a small town on the coast of northern Corsica. It has a very pretty harbour and a small fort. 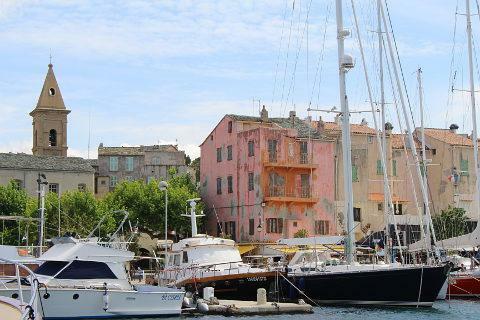 Saint Florent is on the coast on the other side of the bottom of the Cap Corse peninsula from Bastia. 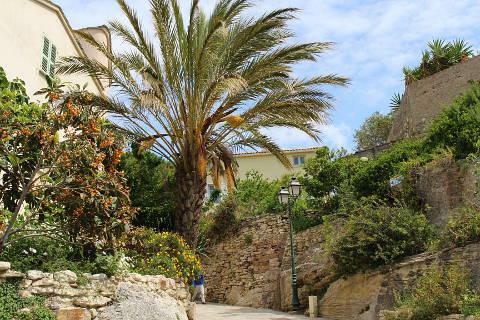 The location, on a small promontory in a natural bay on the Mediterranean with a backdrop of mountains, the climate and the nearby beaches and scenery all together make Saint Florent a popular resort and tourist destination. 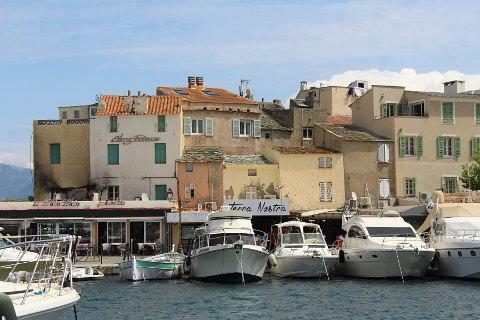 Saint Florent is a small town, needing only a morning to explore unless you get waylaid - as you will! 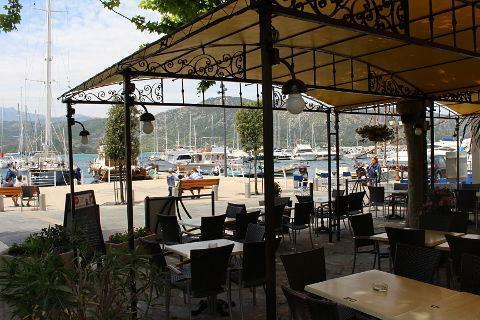 - by the attractive harbour and cafes around the Place des Portes, or pass a long time wishing that you too could pass the summer on one of the expensive yachts moored in the marina. The streets of the town are active and very pleasant to explore, as much in the evening as the daytime, and there are plenty of places to stop and eat or drink. 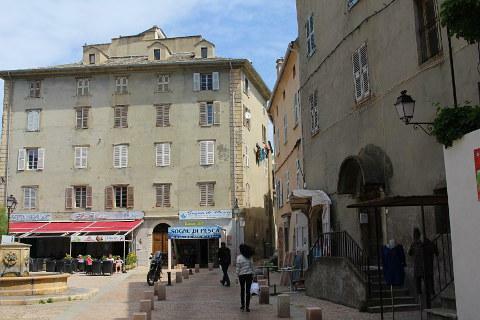 Like many of the Corsican towns Saint Florent has a Genoise citadel, built in the 15th century (the town quickly started to develop around the citadel). The citadel is a sturdy round monument that looks out across the gulf below, giving us some lovely views. 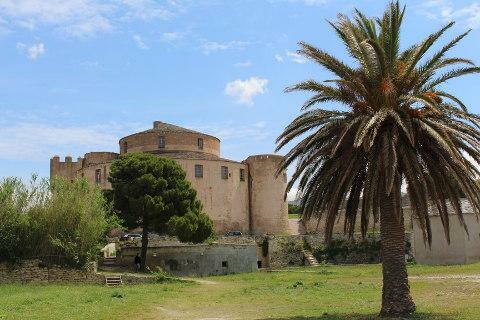 The Cathedral of the Nebbio is the other important historical monument in Saint Florent. 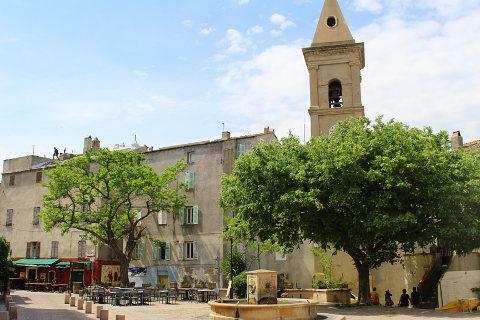 It was built in the 12th century on the site of the original Roman town that existed close to where Saint Florent now stands. Nebbio cathedral doesn't look at all like the renowned grand cathedrals of mainland France that you might expect - it is a low, unassuming limestone building, very well more suited to the Corsican setting in which it finds itself. Nebbio Cathedral contains a most unusual relic - the remains of a 3rd century Roman soldier in a wooden box given to the cathedral (at their request) in the 18th century by Pope Clement XIV. 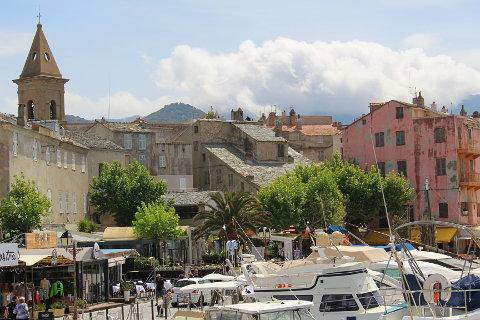 You get one of the best overall views of Saint Florent from the citadel - or across to the other side of the Gulf de Florent - from here the town looks very small and unassuming with the dark brooding mountains poised behind the light limestone buildings of the town. The Martello Tower (across the bay from Saint Florent) dates from the 16th century - it is the original of its type. Visitors from the south of England will be familiar with Martello towers - Nelson was so impressed by the design that he copied it and built them as defences along the south coast between Sussex and Suffolk. The design was also used in many other locations around the world. It is of course the nearby beaches that form a large part of the attraction for summertime visitors, and there are several very scenic beaches close to the town. These include the Plage de la Roya and the Plage du Loto. Another is the Plage de Saleccia, renowned for its white sandy beach and often described as one of the best beaches to be found anywhere in the Mediterranean. 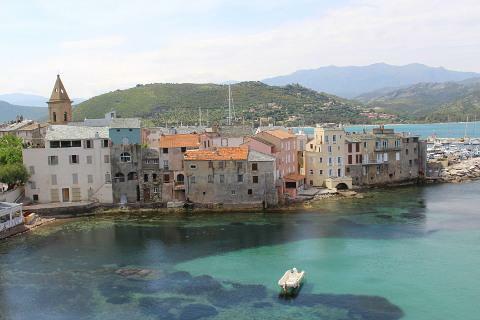 With Cap Corse to the north and the Desert des Agriates to the west, each with their own character and attractions, Saint Florent is well placed to explore the scenic highlights and coast of northern Corsica. The Nebbio region is picturesque, and also very fertile and produces one of Corsica's best wines in the vineyards around Patrimonio - the village itself is 6km from Saint Florent and a good place to start exploring (and tasting) the local wine.